Sold by mansion book house (3.7 out of 5 stars | 24 ratings). *All proceeds from this book will support Pencils of Promise. Start reading The Promise of a Pencil on your Kindle in under a minute. 5.0 out of 5 starsTrue to its title, the promise is well kept. Spending a semester at sea, Justin Bieber as a part of your growing up team and meeting the blue eyed girl - are just some of the amazing moments in this lovely book. True to its title, the promise is well kept. 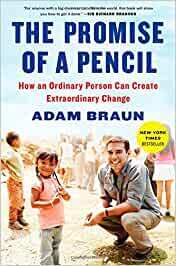 A simple request of a Pencil from a young Indian girl, changed the track, career and thinking of Adam Braun. I had read a similar book titled, 'Leaving Microsoft to change the world' by John Wood. This is just equally inspiration story of an education dream, one pencil at a time. I finished reading your book yest, and I have to share this - I experienced a lot of emotions, and at times my eyes were wet. I am so able to relate to it - every time I see children of people living on streets in Mumbai, I feel a lot of anguish that I am unable to do something for them and their potential is being wasted. Worse, I can't imagine myself going through the hardships that they are going through as kids. It's really good to know about the work you are doing. 5.0 out of 5 starsMagical! n the most simple words I can review this book - The chronicles of Adam Braun's journey has the ability to change lives. The book is divided into thirty mantras and Adam tell his learnings in step-by-step through these mantras. The fact that the author has the courage to share his vulnerabilities, his mis-steps in the most candid fashion- makes you connect with his journey. Rarely have I accidentally come across a book with offers so much insight that makes this book so special. Anyone who has a big dream in life - this book shows you how it is done says Richard Branson and the first Mantra itself strikes a chord with you - "Why be Normal". 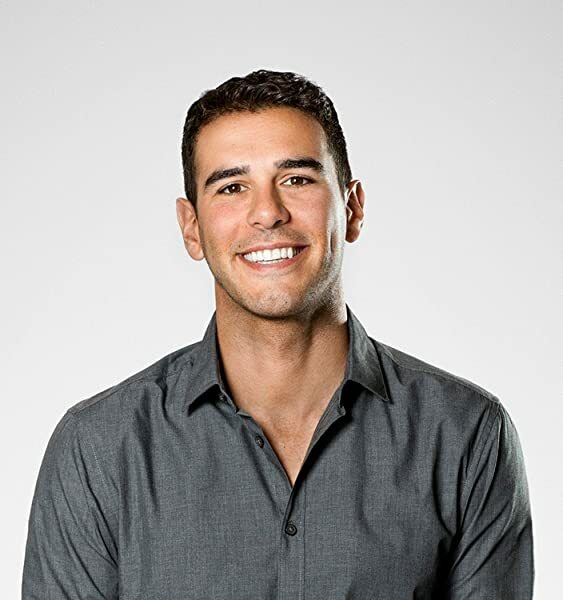 Adam doesn't share his dream with you, he takes you on a world-wide tour to show you how to achieve a goal that you always wanted to. From the high offices in the Wall Street to the mountainous region of Laos to the dusty streets in Cambodia, the ink that describes Adam's journey drips with passion. This book is simply magical. The book is extremely well written and I was done with a 100 pages even before I realised. The extraordinary journey of a 20 something to make a difference in the world is quite inspiring. Although a lot of incidents seem like a leap of faith and need you to suspend belief. A lot of things seem to have just fallen in place. But definitely a must read. What a book!! Truly inspiring. It's amazing to see how something so small (a pencil) can go on to transform the lives of so many children around the world. What a great read. The one thing which stand out for me the honesty through out the book.also it's truly inspiring and many fold better than many cheap self healing books in the market..
Adam's story is really inspiring and it is very easy to read as he has divided the book into small chapters.